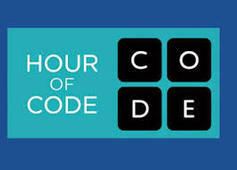 Bring Hour of Code to your classroom and inspire your students to try computer science. This is a great opportunity for every student to explore and enjoy an hour of code and see how relevant it is to everyday life. 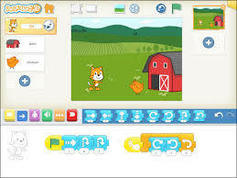 Introduce children ages 5-8 to coding by challenging them to create their own stories, games, and animations with the PBS KIDS ScratchJr tablet app. Through these fun-filled activities, children will have an opportunity to create projects featuring characters they know and love. Show your middle school students how applicable math and science are in day-to -day life with interactive activities and online modules from Maryland Public Television. Built around topics such as playing soccer, cake design and landscape architecture, students will begin to see how math concepts relate to the real world. Bring science to life in your high school classroom with interactive lessons and activities that enhance students’ literacy skills while teaching valuable science topics. 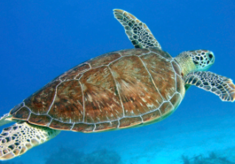 Engaging topics cover everything from sea turtles and submerged aquatic vegetation to hurricanes and climate change. Playful and purposeful learning is the name of the game in this collection of PBS KIDS afterschool adventures. Designed for children in two unique age groups, 4-5 and 6-8, these media-rich excursions help children build early math and literacy skills using videos, games and hands-on activities. We have some exciting news to share! Our station nominated an exceptional child care provider from Maryland’s Eastern Shore for a brand new PBS KIDS early education initiative. 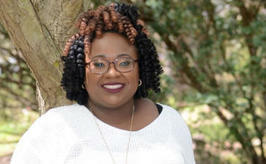 Recently the station learned that Avonda Ellison, owner of the Laugh-n-Learn family child care program in Salisbury, MD was selected as one of 17 “Early Learning Champions” from across the country to represent their local public media stations in enhancing early education activities in their communities. > Learn more about our new champion! Join MPT for a free screening of the Season 3 premiere of Victoria. Here's the setting: It is 1848 and revolution is breaking out across Europe. In Britain, one woman stands between order and chaos: Queen Victoria. Come mingle and enjoy a fun evening on us! Explore more PreK-12 activities and educational media on Thinkport.